Expecting your first baby is an extremely thrilling and joyous time, however; for me personally, I was so stressed over all the baby products out there and trying to choose the “perfect” ones. I would go to ‘Babies R Us’ at least once a week looking at what they had on the shelves, trying to decide what I did and didn’t want to register for. I was so worried I’d choose something that Nate wouldn’t like. 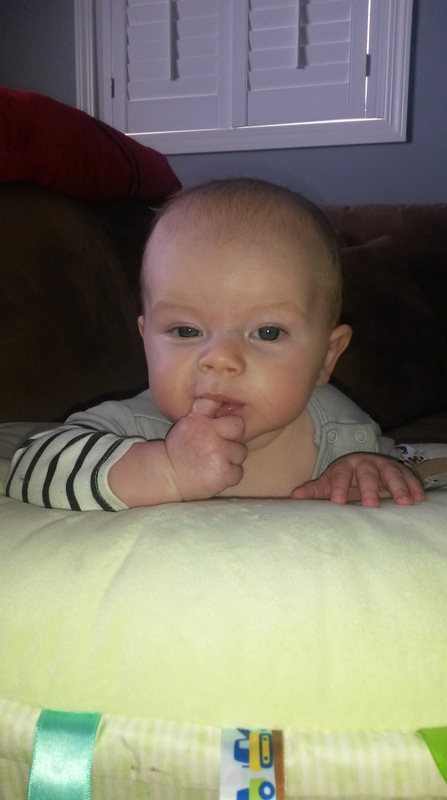 Which thinking about now is actually pretty funny considering he wasn’t even born yet and definitely wouldn’t know the difference if I chose Graco vs some other name brand product! I thought I’d make a list of the products Nate and myself couldn’t do without! First, you definitely need a good car seat! Safety should be your number one priority (in opinion and most likely every other mom out there too). To be honest, I didn’t do a lot of research on car seats, Kurt’s dad did that for me. He looked up what would work with the stroller he had bought us and wanted to make sure it would be easy for me to install on my own as well as carry around when I was out alone. He gave me a list of 3 or 4 car seats that would work with our B.o.B. Revolution jogging stroller and then let us decide which one we wanted. 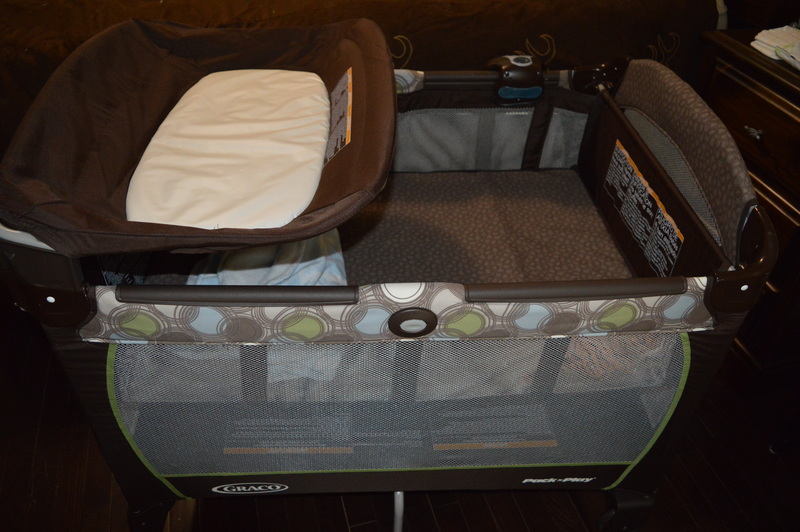 We ended up choosing the Chicco KeyFit 30 model which I must say is a complete dream! The base uses either a shoulder strap, lap belt, or UAS system making install into most vehicles a piece of cake and the car seat itself just clicks into place! There’s a built in level on the base so you know it’s completely flat and installed correctly in your vehicle and all you have to do to take the seat off the base is lift up on the lever located on the back of the seat itself. It’s also apparently one of the lighter models out there which is awesome because Nate is starting to get pretty heavy so carrying a car seat plus an additional 16lbs isn’t a small task! Here’s the what the Chicco KeyFit30 looks like. We’re also using the JJ Cole Bundle Me car seat cover which has kept Nate nice and toasty in the bitter cold this winter! Next I’d suggest looking for a good quality stroller! Kurt was adamant he wanted a jogging stroller that way he could take Nate out jogging with him during the summer. Again, I left this research up to Kurt and his dad considering I know next to nothing about jogging and what would or wouldn’t work. They settled on the fact that B.o.B. 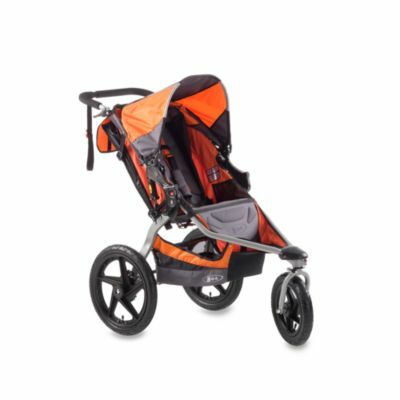 seems to be the best when it comes to jogging strollers. We ended up getting the B.o.B. Revolution SE one. It is a three wheel jogging stroller and instead of normal wheels it has basically tires. It’s made to go “off roading” haha you’re able to pump up the tires with a normal bicycle tire pump and the front wheel has a lock you can put on it for when you’re actually jogging. I was fine with getting a jogging stroller as long as the front wheel was able to swivel for normal everyday use. 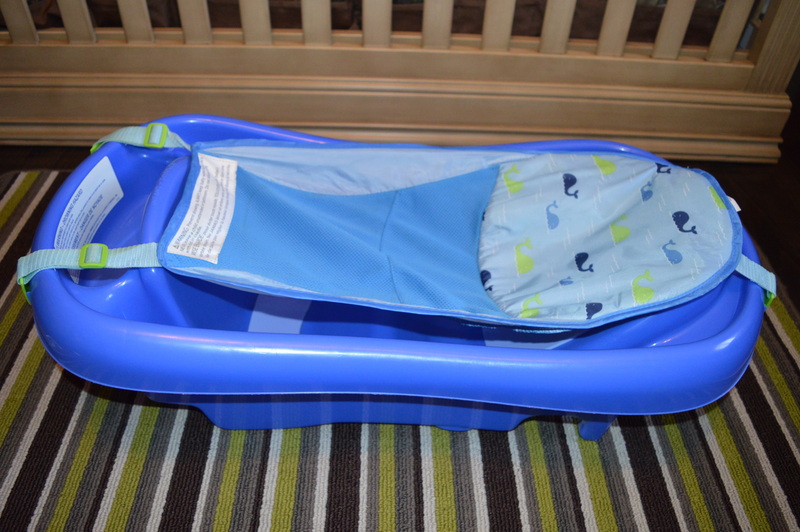 This stroller is super easy to fold up and store as well! There’s two handles you squeeze to fold then once it’s closed you can just pick it up and store it wherever! It’s super light too which is nice because we have two trucks so I’m constantly lifting it in and out of the truck beds. There’s a small area on the bottom for storing items but I think what I love the most is the fact that there’s a five point harness in the stroller itself to keep Nate safe! Granted, for right now because he’s too small for it we’re still using the car seat and car seat adapter when taking him out but for the future I’ll rest easy knowing wherever Kurt is jogging, Nate is strapped in safe! I don’t have a picture of ours but this is the exact one we have! I didn’t think I would love it as much as I do. We use this adapter for the Chicco KeyFit 30 car seat which just snaps into place. So nice and simple for me when I’m out with Nate. A swing is another good idea to have as most babies like the feeling of being rocked since it reminds them of being in the womb (apparently?). 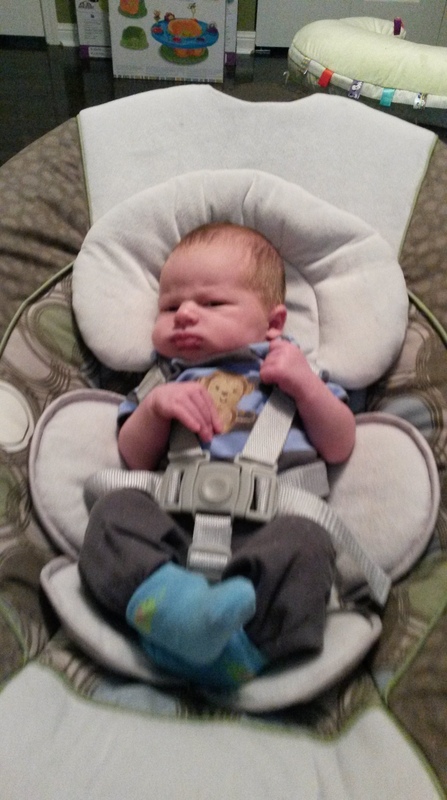 Nate would not sleep unless he was being rocked for probably his first five weeks of life! After two nights of not sleeping when we first came home I thought I was going to lose my mind! 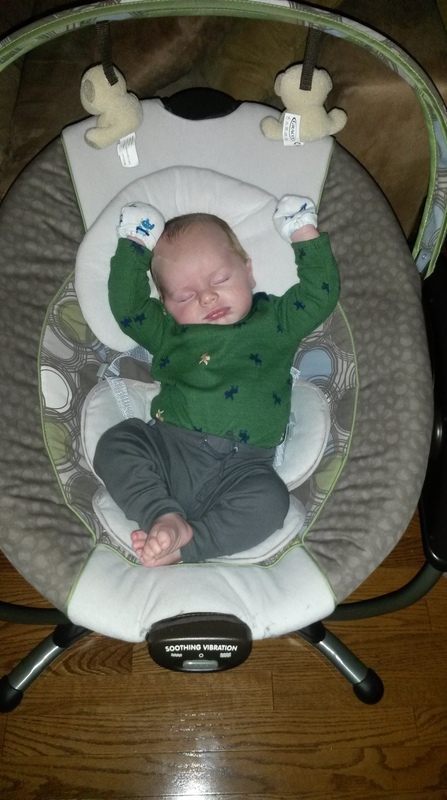 I remember that third night just thinking I’d put him in his swing for a bit and see how it went. He immediately fell asleep and I was able to get about three hours of sleep before needing to wake up to feed him. It was heaven! 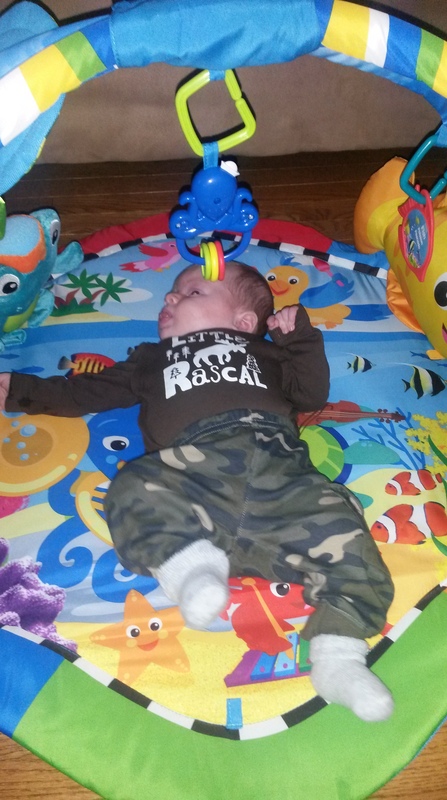 We use the Graco Glider LX Gliding Swing. To be honest, I only bought it because it was on sale for 60% off and it seemed like a steal! Now looking back I’m so glad we got this one instead of a regular swing. We don’t have a ton of floor space in our living room due to our large sectional couch so the fact that the glider is more compact than other swings is awesome. 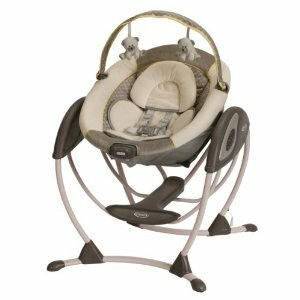 It glides back and forth (like a glider chair) and the seat itself can come out and be used as a bouncer (sweet! 2-in-1!). Along with the gliding, it also vibrates which Nate seemed to enjoy. It runs on either batteries or an outlet which is good since we burned through at least 10 D size batteries in the first month! The swing has six setting (we only go up to 5 since it gets pretty fast at 6) and it also plays classical music or nature sounds. 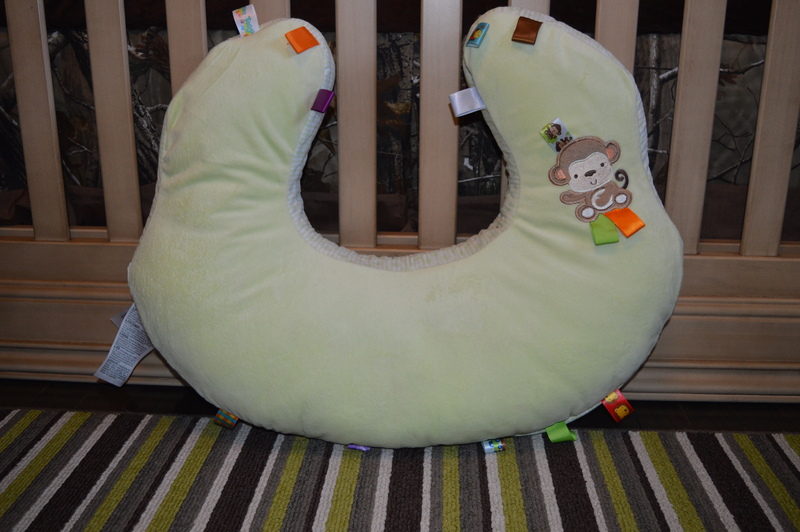 There’s a newborn insert for it as well to help keep babies head secure. Always make sure you strap you baby in when using swings! 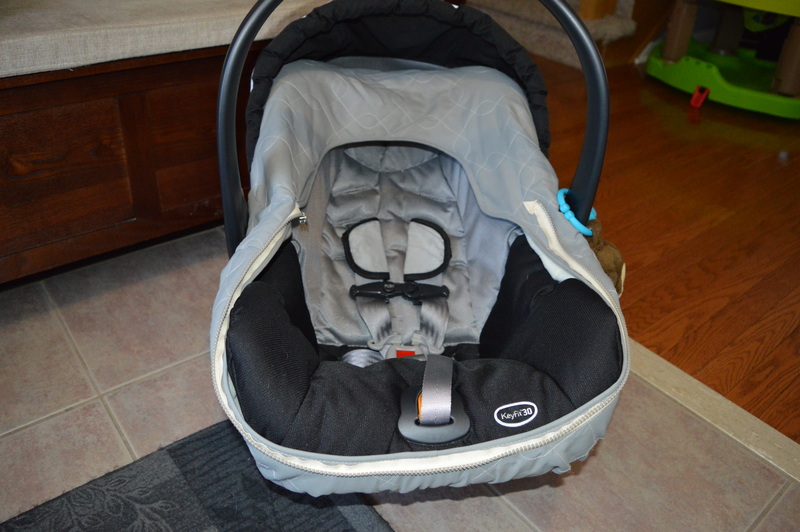 Here’s what our Graco Glider looks like. At five months, Nate still loves gliding in it! Another good idea is to purchase some sort of play mat. 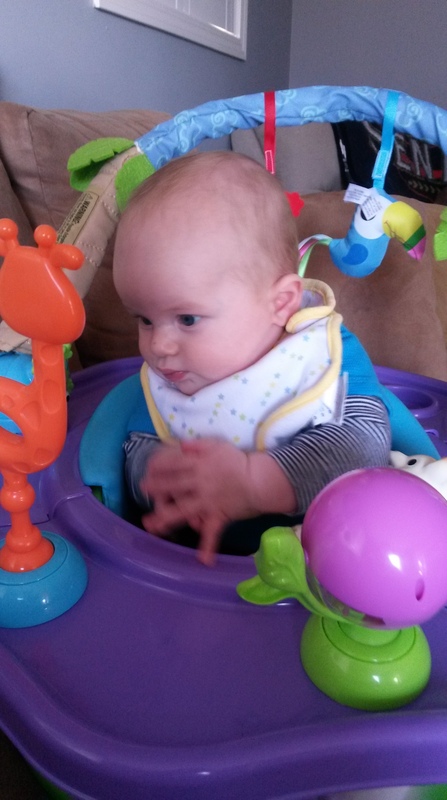 These give babies interesting things to stare at as well as fun colours to capture their attention. 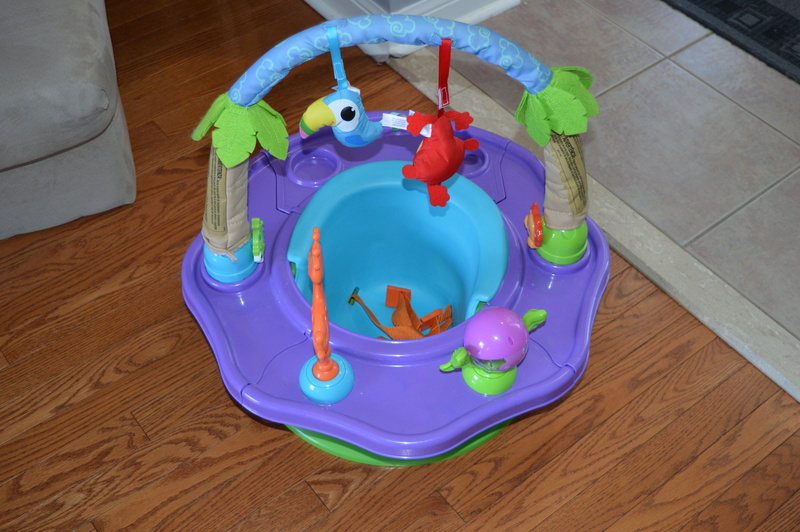 Play mats don’t have to be anything too fancy either; just a few dangling toys, maybe a mirror or two and you’re set! 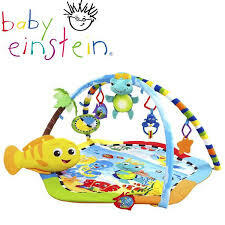 Ours is the Baby Einstein Reef Play Gym. It’s one of the more expensive ones but you can definitely find cheaper ones! Toys R Us has tons of great ones for reasonable prices! Baby seats are nice too because they can help with head and neck strength. Nate still uses his and seems to enjoy it more so now than he did when he was younger. It’s funny seeing him sitting on the floor when the cats walk by because he gets so excited! He’s down on their level and he’s able to interact with them more. 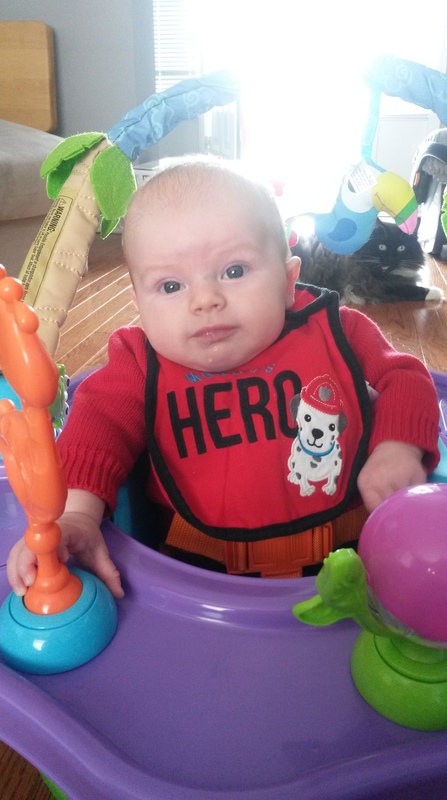 Just make sure you never put baby seats on high up surfaces! 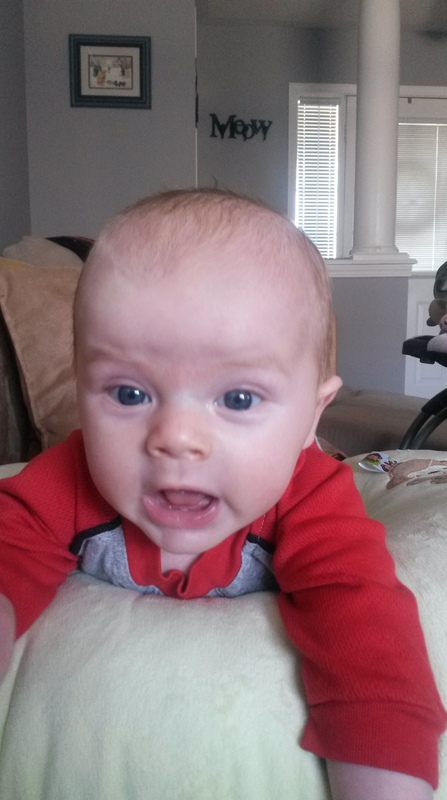 Babies can get seriously or fatally injured if they fall! The baby seat we have is from called the Deluxe Super Seat and was purchased my by mom from Target. Unfortunately, Target is leaving Canada (so sad!) but I know it’s also available at Toys R Us! I would highly recommend a nursing pillow as well! I only used mine for about a month after Nate was born because he was so long it was hard to keep him on it but it worked so well for helping him with “tummy time”! He hated being so close to the floor and wasn’t able to lift his head enough to see me so using the pillow for support really helped him. 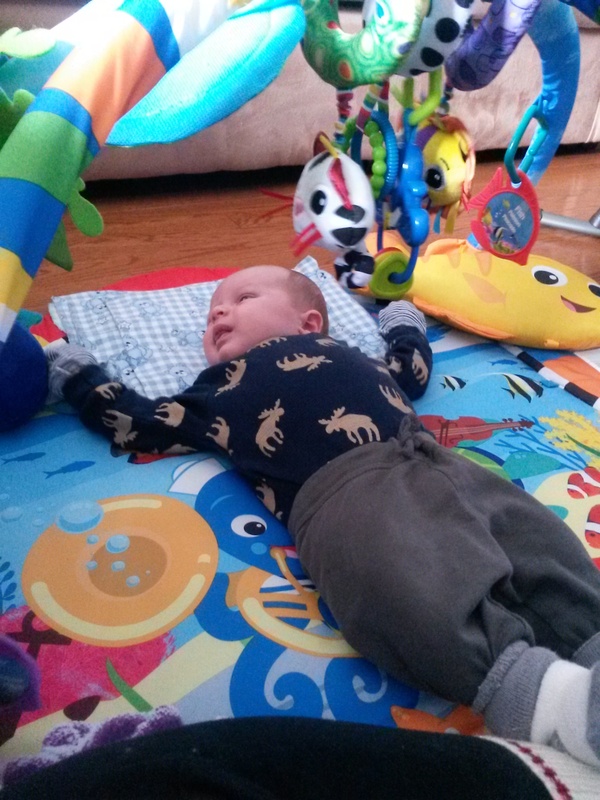 He was much happier during “tummy time” and tolerated it for longer periods. That last picture always kills me! Baby toys are always fun to have! I didn’t realize how much Nate would be interested in them at such a young age. When he was only a few weeks old I remember thinking I’d bring them downstairs from his room just to see what he’d do. Immediately he started trying to grasp certain toys or if he was holding onto them, he’d try bringing them to his mouth. These are just a few of his favourites! Don’t let anyone tell you that Sophie isn’t worth the ridiculous price tag! Seriously! 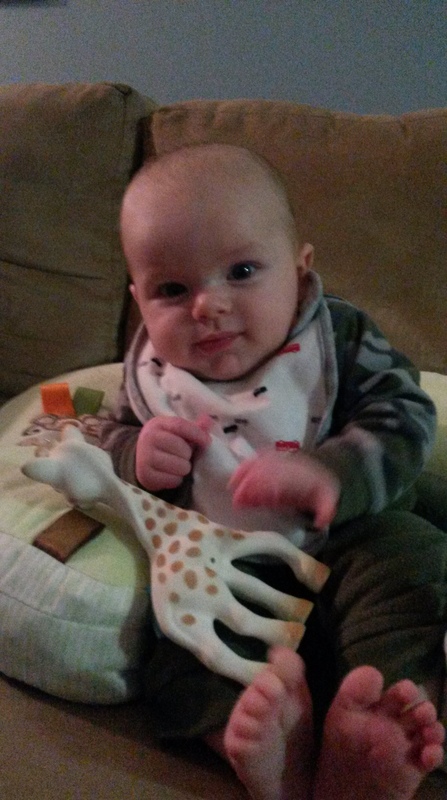 That giraffe has saved us from some major melt downs more times than I can count! After Nate no longer needed his swing in order to fall asleep, we set up his playpen in our bedroom. We never ended up getting him a bassinet because I had assumed that he would just sleep in his crib and I’d sleep on the futon that is in his room. Well that futon is extremely uncomfortable and I started missing my bed so since we didn’t want Nate sleeping on his own and didn’t want to buy a bassinet he’d end up using for only a few more weeks this was our best solution. 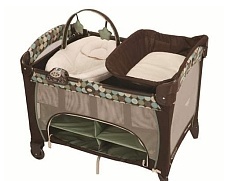 It worked out beautifully for us too because the playpen has a built in change station (comes in handy during the middle of the night) as well as a newborn insert. 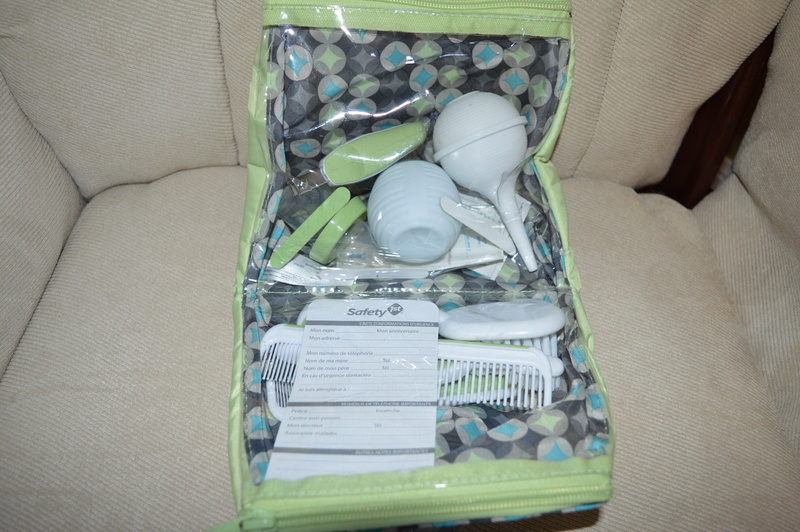 We’re using the Graco Pack n Play but we have since taken out the newborn napper insert. There’s storage below the mattress pad too which is a huge bonus! I never imagined I’d need to pack so much stuff when I venture out either on my own or with Kurt. Nate seems to go through so many diapers and wipes and I’ve made the mistake before of not bringing an extra change of clothes for any special “surprises” that might occur! 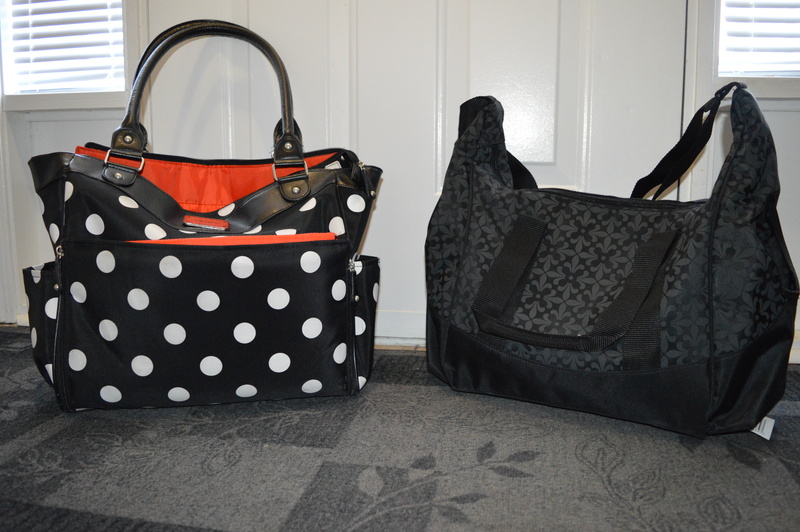 This brings me to my next “must have”…diaper bags! Nowadays they’re way more “fashionable” then they used to be! I lucked out and got two from Kurt! Spoiled girl I know! I have a larger one (without a side strap) and a smaller one (with a side strap). I use the larger one for when I’m going out for more then a few hours and I know I need to bring extra supplies with me. My smaller one is used for when I’m just going out somewhere quick or for when I’m headed to a friend’s house and I know they have extra supplies if I need them! Here are mine and I must say I love them both! They both come with change pads and can both be found at Toys R Us! Now that Nate is older, he’s really able to enjoy “big boy” toys such as these! My dad and stepmom got us this exersaucer at Christmas and my mom got us this Little Tykes “Cozy Coupe” as an early Easter gift. Yes, Nate is spoiled! And I guess you could say we are too! The exersaucer is actually a 3-in-1! 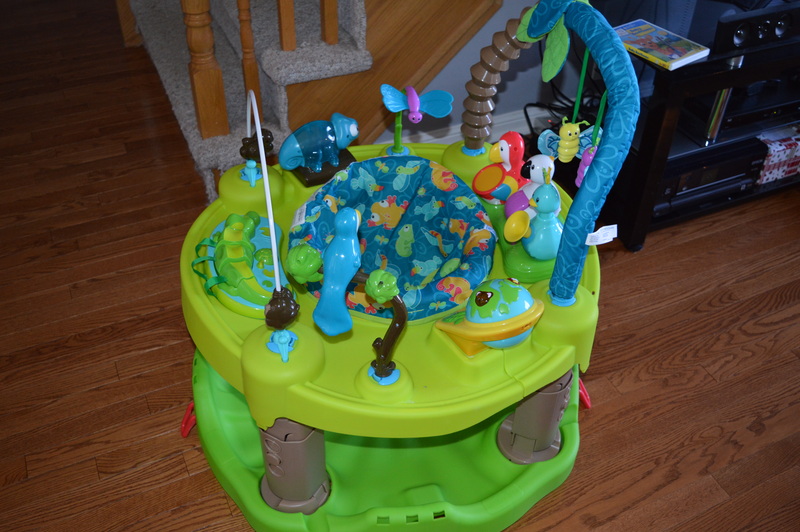 You can first use it as a play mat, then the exersaucer, and lastly it becomes a little play station for toddlers! 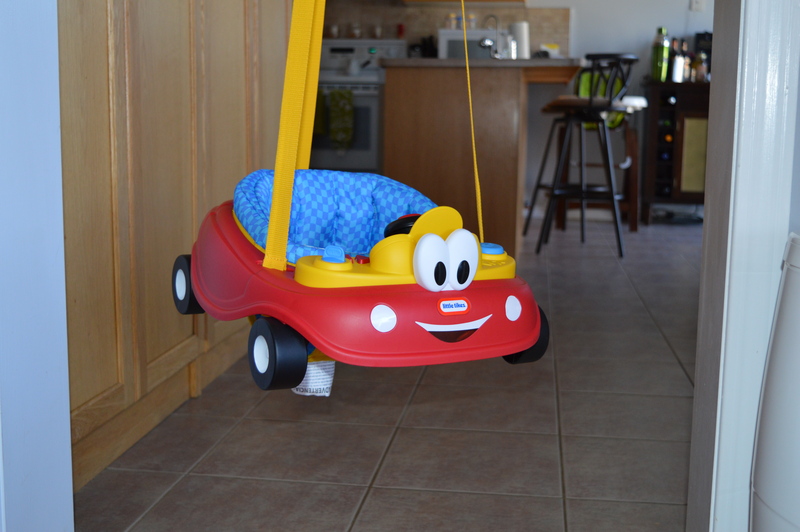 The cozy coupe jumper attaches to any door frame (ones without a door attached!) and plays some fun songs that really get Nate moving! You can find the cozy coupe at Sears. 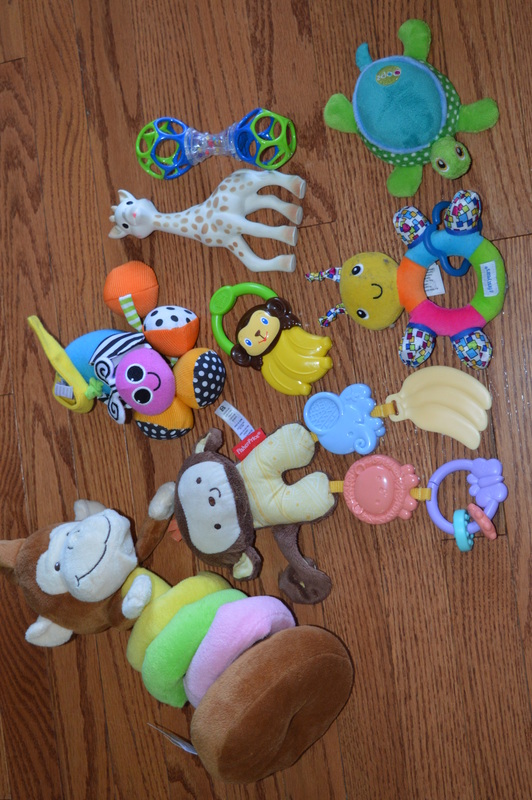 Unfortunately, I’m not sure where the exersaucer is from but Toys R Us is almost always my go to and I know they have other ones there! I can’t believe I haven’t mentioned it until now! But having a baby monitor is a definite must have! You’ll sleep so much better at night knowing you’ll be able to hear (and now see!) what your baby is doing! 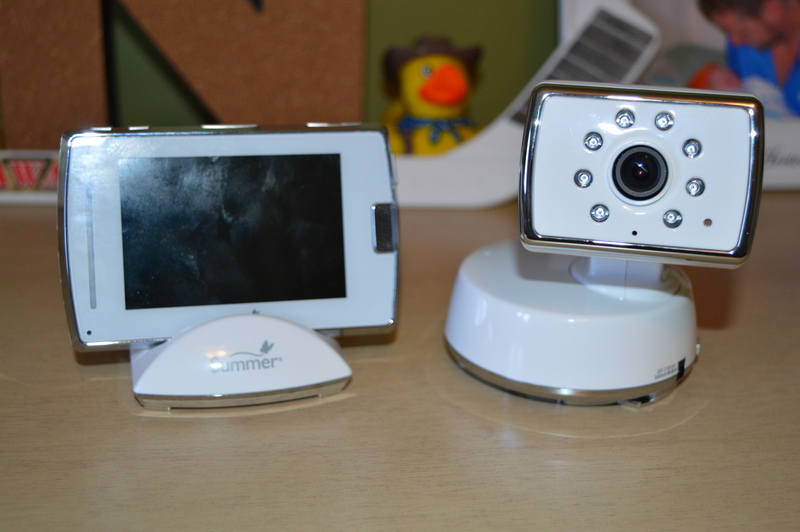 We use the Summer baby monitor which is from Sears! It is a video monitor (doesn’t use wifi) which is so nice because if I’m ever concerned during nap time (or the odd time Nate sleeps in his crib) I can just look at the monitor and see what’s going on especially because now Nate has decided he’s a tummy sleeper! The monitor also allows you to directly to your baby. How neat is that!? I can’t wait until I can see him attempting to climb out of his crib and I can tell him he’s been caught! Well…maybe I can wait for that one! But seriously this monitor is awesome! And finally, having a good baby bath tub as well as a hygiene kit are for sure on my list! Nowadays, Nate comes into our bath tub with me but when he was a newborn I was terrified of bathing him. I always needed Kurt with me and I had a constant fear I would turn my back for a split second and he’d drown. 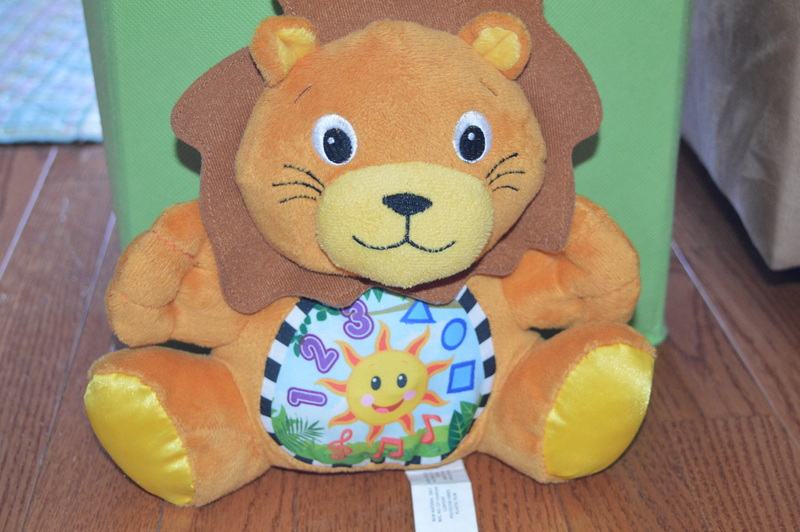 Seriously, I had recurring nightmares that I forgot him in the tub or I dropped him when he was wet and slippery. So awful! The tub we have has a handy dandy newborn hammock insert that allowed Nate to lay in the water but he was never fully submerged which was nice. There’s also a plug in the bottom of it so you’d just pull that to drain it! Nate has two different hygiene kits, basically they’re both the same just one has a few more things in it. The nail clippers and nose suction are what I’ve used the most! I also highly recommend getting an infant nasal aspirator. Nate got a nasty cold when he was two weeks old and then again just after two months and since babies can’t blow their noses, you have to literally suction it out! 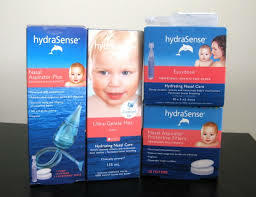 These products from HydraSense were a life saver! They’re fairly expensive but when you’ve got a sick baby on your hands price doesn’t really matter! Well there you have it! Mine and Nate’s list of must essentials! Just remember these “must haves” are my opinions only. You may discover other products that you love that do the same or similar things are these! And not all babies require everything I’ve listed since every baby is different! What works for me might not work for you! Thanks for reading! Do you have any “must haves” you want to share? Let me know! Previous Post So Many Milestones, So Little Time! Next Post First Trip to the Park!